That's it – I'm joining the circus! If someone had told me years ago that I could make diving into a beautifully-constructed glass bowl of water look so effortless, I may have perfected my skills a bit more. 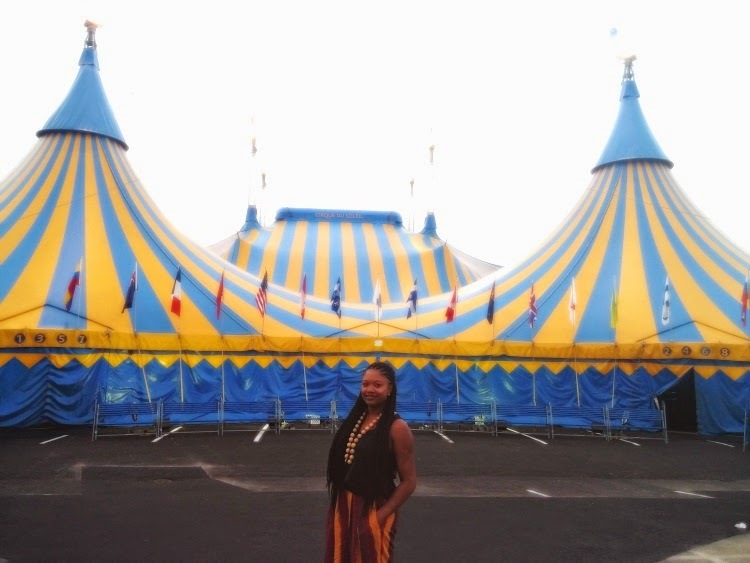 Last night's Cirque du Soleil show, Amaluna, at National Harbor was absolutely awesome (and my jaw muscle can vouch for me because it was overly used yesterday as I opened my mouth in amazement). There I am, in the top picture, in front of the "big tent" known as the Grand Chapiteau. This structure alone adds to the entire Cirque experience. It sets the tone for how large and exciting the show will be. If you are bringing children along, I am sure they will enjoy seeing the tent as they approach the area. I still get a kick out of seeing it every time, and this isn't my first time seeing a Cirque show. I, along with my oldest son (12 years old) and my sister in-law, arrived at National Harbor around 4:30 PM for the 5:00 PM showing. I believe the tent opens up at 4:15. A lot of local bloggers were in attendance as well. You can probably follow/search the hashtag #Amaluna or #CirqueSelfie to see a few pictures from the course of this tour. There was a slight line waiting to enter the tent, but it moved quickly. There were multiple lines there to scan tickets. Make sure you have yours ready to be scanned. It makes the process so easy. Once you enter the tent, you will notice the air is a bit stuffy. No thanks to Maryland's humidity, mixed with the task of cooling down a make-shift building with air conditioners (as the outside air seeps through the entrances), it was noticeably hot. Thank goodness there was a lot going on to draw my attention away from the heat. We headed straight to the concession stand to grab a bite to eat. Items on the menu were similar to the movie theater – nachos, popcorn, hotdogs, candy and soda. The prices were, too. If you make a day out of it, you and your group could probably eat at a restaurant before/after the show for a better value. There is also a bar for adult drinks under the tent. We were in our seats by 5 PM exactly. While the show didn't start exactly at this time, it is best to be punctual. You may have to wait outside until there is a break in the show so that there is no disruption. There are periods of darkness and the cast wanders throughout the audience a lot. The audience needs to be seated and settled. Besides, people pay good money to see these shows. No one wants a bunch of latecomers ruining the experience. NO VIDEO. NO PICTURES. NO AUDIO. NO TWEETING. NO FACEBOOKING. You'll get your warning. Just tuck your phone away and enjoy the show. 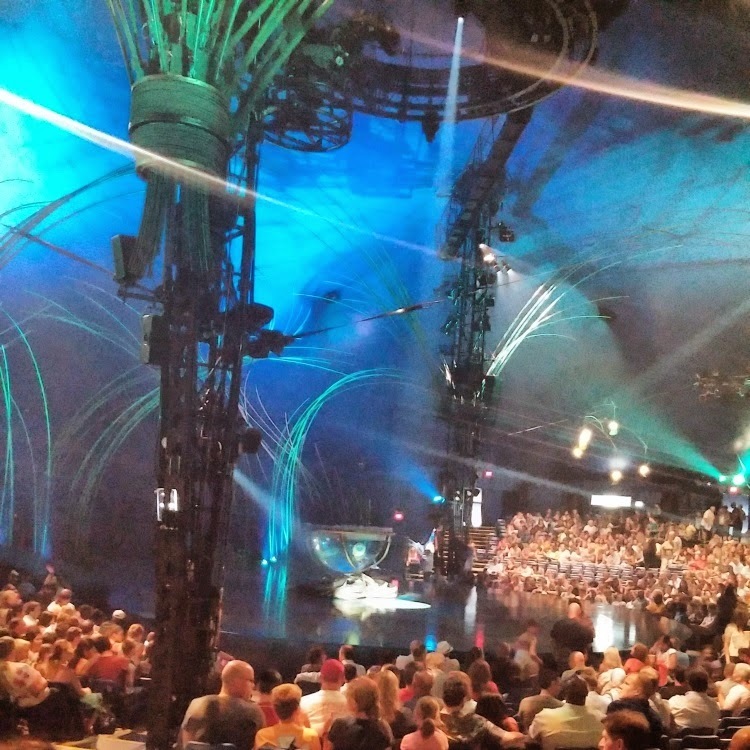 Cirque does not allow any portion of their show to be captured, for good reason. 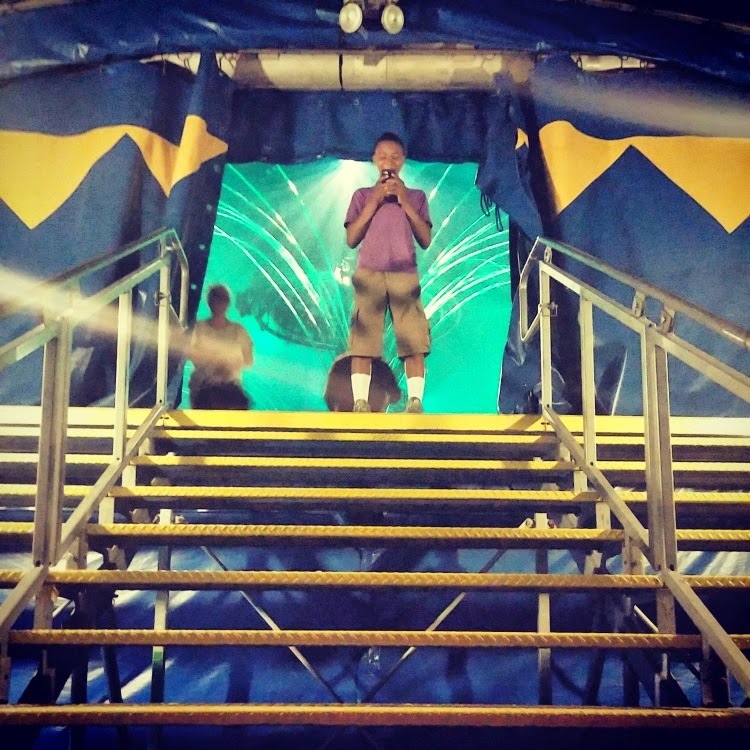 You may be able to get a quick shot before the show starts, in the concession area or outside the venue in front of the tent, but you will just have to make a mental picture of the show. As a blogger, this is a much needed break from being plugged in all the time. I loved being in the moment. Besides, you'll get a break at intermission to catch up with the world. Ha! Don't be afraid to be social though. You may end up on the Social Media screen. Thanks to Heather for capturing this. ...and then the show started (pictures courtesy of Amaluna press kit). I could not possibly explain to you how special each act was. These pictures only capture a fraction of what you discover while sitting in your seat at the show. 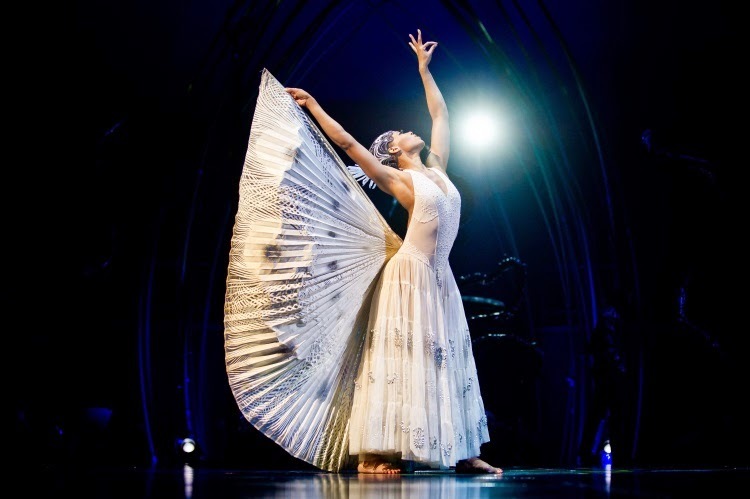 Every detail, every costume, every music note, every lighting effect; it all had a purpose. 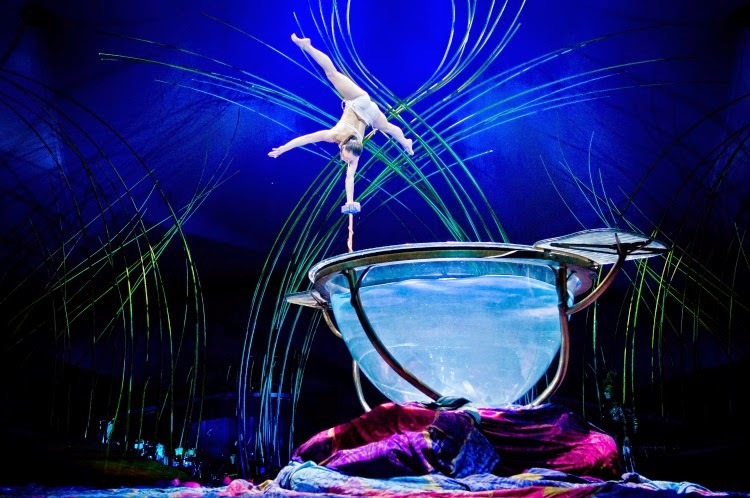 With each guest experiencing the show from different angles, Amaluna made sure to cover the entire stage so that there was no shortage of entertainment. My absolute favorite part of the show was probably the simplest (in display, no execution) –Balance Goddess. This video below is lengthy and isn't the actual performance from last night, but you can see the brilliance behind this act. The breathing techniques and concentration are remarkable. During the show, the audience was completely captivated and in silence. At the end of the performance, the claps filled the room immediately. I believe this received the loudest response. 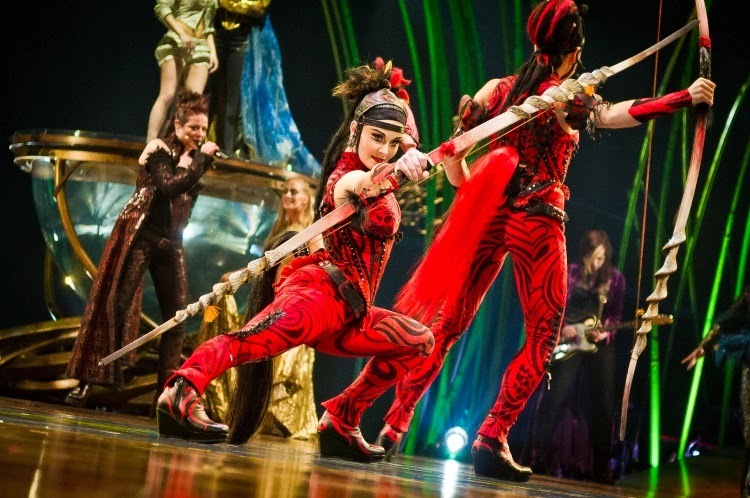 Another one of my favorite acts in Amaluna was, Chinese Pole. Another simple act (again, in display, not execution), but still captivating. His strength was beyond believable. I could go on an on about how effortless this looked. And ladies – the performer does part of this act...shirtless. Holla!! For a second I thought we were at a Prince concert. The live, all FEMALE band at @Cirque #Amaluna is rockin'. The music stands alone. If there were not acts at all, I would have easily enjoyed listening to the ALL FEMALE band rock out. These women gave us all they had. 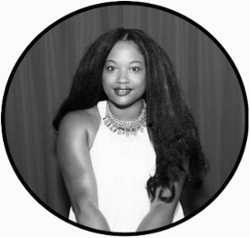 I was bobbing my head, clapping my hands and tapping my feet throughout the show. Why not? This brings me to another point about the show. I feel like there are a few sexual undertones. Call me dirty, but I raised my eyebrows at a few suggestive scenes. If you have a younger child with you, they probably will not understand them at all. I just wanted to warn you. The clowns of the show (both played by women, but portrayed as a man-woman couple) provide a bunch of comedic moments, but they are a little risque...in case you are offended easily. There will be guests of all ages in attendance. You will hear children talking...and adults, too. More the most part, people are respectful during the show. Be prepared for children to express their excitement about certain parts or make comments. It didn't bother me because I have Mom ears and can block everything out. Just know that this may happen. If you are bringing a child, there are moments of complete darkness. Very short ones, but make note. The music can be a bit loud if you want to bring headphones. There are some dark scenes that could terrify a child. And, as mentioned above, a few risque parts. But, as my SIL said, "No more than some of the Disney movies they watch." Word! You can also request a cushion for your child to sit on so that they can see over the heads of adults. There are parts of the show's structure that can block your view to the stage if you are sitting on the side. I guess that is why the section that is front and center cost a little more. The tent did cool down after sitting there for a few minutes. However, I don't think you will need to bring a light jacket or sweater. I did not get cold once. National Harbor has a lot of parking garages. We parked at the one that to the right of the big tent. We were there for a little over 3 hours and had to pay $9. Make sure you have a credit/debit card to pay for your ticket before exiting the garage. You may get out quicker than this, but I stayed for a Q&A to speak with Larry from wardrobe and Rowena from publicity. They answered questions from the group of bloggers who were invited to attend. There is so much I want to share about the show, but this post would be even longer than it is now. Amaluna is one of the best Cirque shows that I have seen. If you can make it out to National Harbor by September 21 (the last day of the show), do it. Right now, Certifikid is running a special on tickets to the show. A family four-pack of tickets to see Amaluna at National Harbor is going for $160. Go here to sign up. Last night was amazing. 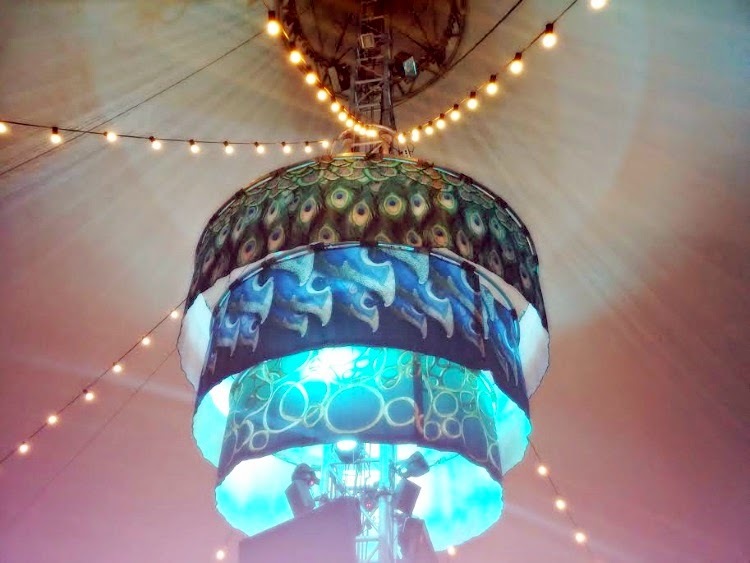 I can't stop talking about all the magic that happens under this big tent. You have to experience it for yourself...at least once in life. 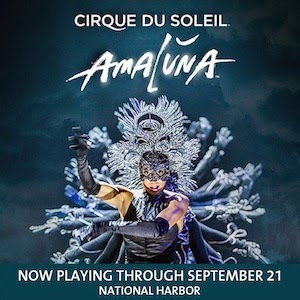 I have the opportunity to give away (4) tickets see the August 28th 8:00 PM showing of Amaluna- Cirque du Soleil at National Harbor in Oxon Hill, MD. If for some reason you do not want to wait for this giveaway to end, or, you are not the lucky winner at the conclusion of it, I have a discount offer for you. 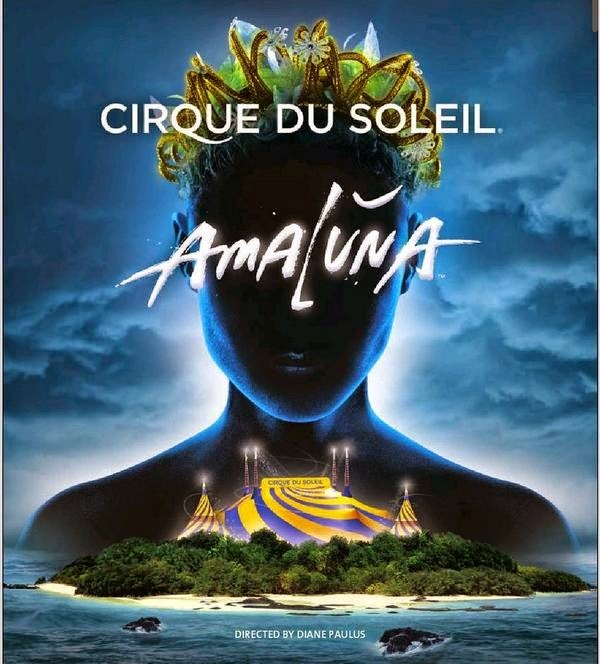 Amaluna from Cirque du Soleil will make your kids flip! Treat the kids with a Cirque du Soleil experience - purchase kids tickets starting at $25 with a full price adult ticket when you use this link, click here. Enter the Rafflecopter form below for your chance to win. If you can't see the form, enter here. Amaluna is Cirque du Soleil’s 32nd production. From humble beginnings with a group of 20 street performers in 1984, Cirque du Soleil is a major Québec-based organization providing high-quality artistic entertainment around the globe. The company has over 4,000 employees, including more than 1,300 artists, from over 50 different countries. 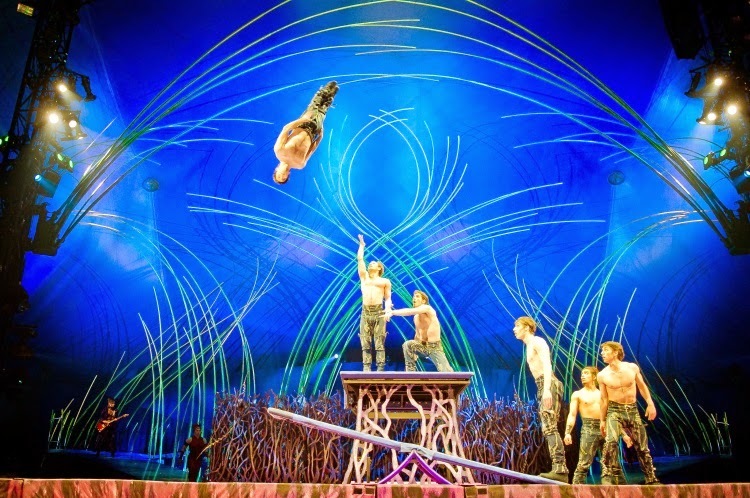 Cirque du Soleil has brought delight to more than 100 million spectators, in more than 300 cities in over 40 countries. 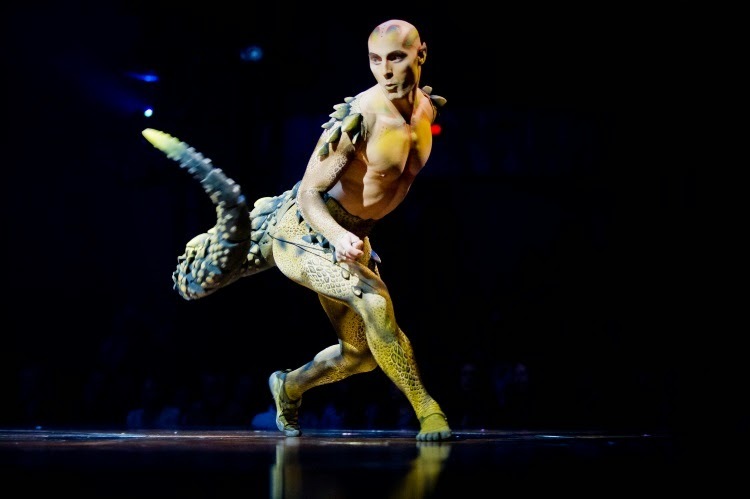 Cirque du Soleil will celebrate its 30th Anniversary in 2014. 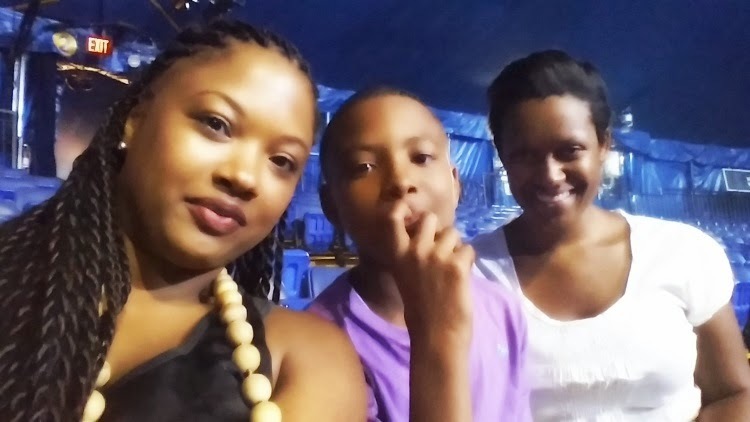 I was provided complimentary tickets for my family and I to attend the show. Thank you to TAA PR for the invite. The opinions and views are my own.